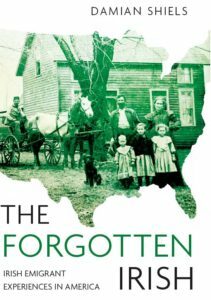 A previous post began to examine the fractious relationship between the Irish-American and African-American communities during the Civil War era. The majority of Irish were supporters of the Democratic Party, and many retained strong views in later years about why the war was fought. The pre-eminence of the preservation of the Union as a motivator for Northern volunteers in 1861 has been highlighted in works such as Gary W. Gallagher’s The Union War, a topic previously discussed on this site here. Many Democrats wanted this to be fully understood, even decades after the guns fell silent. A 1903 piece by Dr. Isidor Singer in the New York Sun, in which he stated the war was fought to free the slaves, sparked a determined response from a Democratic Union veteran. The Fight Was for the Union, Not for the Abolition of Slavery. Not a life was so sacrificed or “laid down,” except in the cases of John Brown and the Lovejoys and their followers before the war. The platform upon which Lincoln was elected in 1860 declared no intention of freeing the slaves; and Lincoln, probably, would not have run on one that did. The party that elected him only proposed to confine slavery within the bounds where it existed, and not to permit its extension to any new state or territory, and it was upon these lines the war was conducted until it became evident that the entire white male population of the seceding states could take the field, so long as they had something like four million of slaves at home to till the soil and care for the wives and children of the fighting men. We even returned escaping slaves to their masters, and it was not unusual to see a fugitive repossessed by a claimant right in our camps. If my memory is correct, it was General Butler who first recognized the folly of this course, and refused to return escaping slaves, on the ground that they were contraband of war, just as powder, shot, provisions, medicines or any other necessities would be. The president did not sign the emancipation proclamation until (and then reluctantly) it was apparent that we could not conquer the Confederates, at least for an indefinite time, unless we converted their four millions of slaves into allies of our own; and it was a problem whether an announced intention to “free the niggers” wouldn’t discourage enlistments and stimulate desertions to such a degree as to offset the advantage of the proposed step. The intimation of Dr. Singer that it was the Republicans, and not in any degree the Democrats, who won the right for the Union is ridiculous to one cognizant of all the facts at the time. Was the Tammany Regiment, organized in the same building where the Sun is now published, and which left so large a percentage of officers and men on the field, made up of Republicans? 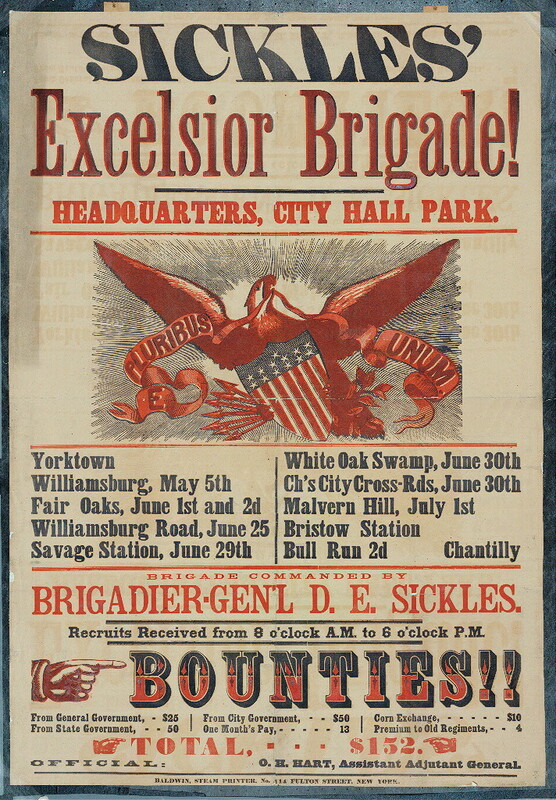 Were there any Abolitionists to be found in the Excelsior, or Sickles, brigade? Or, for instance, in the first five regiments from Connecticut, including General, then Lieutenant, Hawley’s? The claim of the Republicans to have been Abolitionists came at a later date. Their call upon the gratitude of the negroes and the admiration of mankind for having put an end to slavery in this country is unworthy of consideration. They did, to be sure, start the movement which had that result ultimately, but they foresaw that result as little did the cow that kicked over the lantern and started the great fire of Chicago. –W.J.L.D., in New York Sun, Nov. 12. Augusta Chronicle 16th November 1903. Democrats in the Civil War: The Fight Was for the Union, Not for the Abolition of Slavery.